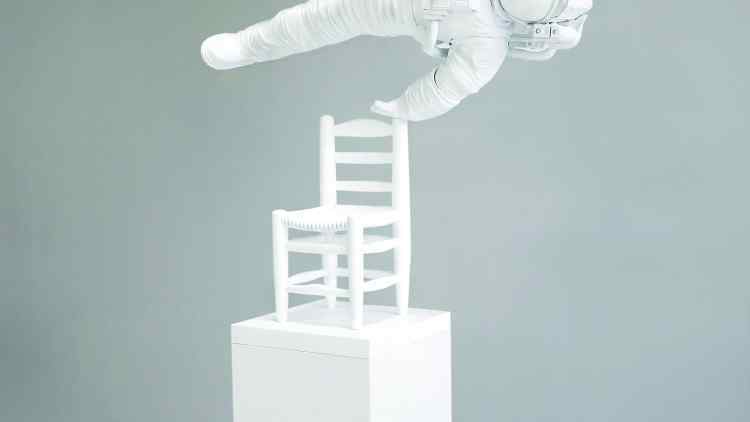 TRIO Bienal hosts the show "Gravity – Equilibrium and Balance" in which Klibansky's sculpture is exhibited. The show Gravidade – Equilíbrio e Balanço [Gravity – Equilibrium and Balance], which integrates the TRIO Bienal comprises artworks in which the gravitational force is the main vector of the artists’ research, either like a real parameter, quantum, or as an aesthetic/poetic simulacrum of the three-dimensional creation. In all of the pieces exhibited, the final shape of the work always presents the question of equilibrium and the dynamics of balance as an aesthetic reason. With works by 160 artists from 44 countries, the first edition of TRIO – Rio Three-Dimensional Biennial is curated by Marcus Lontra and happens in nine art spaces in the city. All exhibited pieces approach the three-dimensional (sculpture, installation, object) and its expanded fields, such as paintings, photography, performance and video. This year’s Bienal is titled after a song by rapper Marcelo D2, “Quem foi que disse que não existe amanhã?” [Who said tomorrow doesn’t exist? ], a reference to art’s utopian aspect that survives even in moments of crisis and uncertainty. TRIO Biennial Is An International Exhibition Of Contemporary Art Around The Three-Dimensional In His Classic Scope – Sculpture, Installations And Objects – As Well As In All Its Expanded Fields – Painting, Photography, Drawing, Video And Others Medias As Three-Dimensional Research.